Every person deserves a garden they can be proud of, and definitely something bespoke. In today’s blog, we will be giving you our best tips on how to create the perfect bespoke garden for you and your home. This will involve tips about cut stone, aggregate and concrete and how these can all be used in your own garden. Here are Armstrongs tips for a bespoke garden. What makes a bespoke garden? Bespoke gardens are special. They are personal, particular and tailored to the owner’s needs and also their pleasures. A garden is made bespoke when the owner uses their creativity and initiative to turn it into what they want. Bespoke gardens may contain certain features and/or functions which you may not find in any other garden. How can you make your garden bespoke? 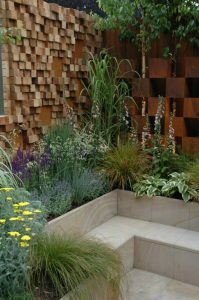 You can create a bespoke garden by using different materials and features to make it look how you want. Receiving information from professionals will help you to understand and be able to turn your vision into a reality. 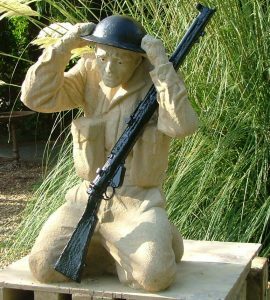 Armstrongs offer a range of products which can be used in gardens to make them bespoke. What Armstrongs have to offer to make a garden bespoke? As mentioned previously, Armstrongs offer a range of products and services to help create the perfect bespoke garden for you. To lay a foundation, we have the best ready mix concrete in the North West to bring straight to you. We know exactly what goes into our mixes, so we can guarantee 100% top quality ready mix concrete to be used to create a clean and durable driveway for your garden. We also offer smaller aggregate which can be used for driveways, paths or simple features to add to your garden. Our larger aggregate can be used in gabion baskets. Gabion baskets are metal wired baskets filled with 150mm sized aggregate. These can be used to create a wall in your garden and look different to the ordinary stone or brick wall. 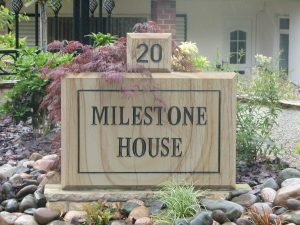 We also offer cut stone products and services to offer anybody who may want to add a new piece of bespoke furniture or decoration to their garden. Tables, benches and other decorative pieces are available from Armstrongs which can be used in your own space. Our products are bespoke because they are what you want. We will create the perfect mix of concrete for your needs and help you select the suitable aggregate for the job. We even create your own personalised cut stone feature, looking exactly the way you want it. Tips on how to look after your bespoke garden? When cleaning a stone bench or table, the best way is to wipe down the surface with warm soapy water with a cloth. Kitchen detergent is perfectly fine if you happen to have some lying about. This will remove any residue that could stain. Moreover, to leave a streak free finish to your bench, use a dry, clean cloth and dry the area. Do you want to get more information the products and services we have to offer here at Armstrongs or want some help? Contact us HERE. You can also keep up to date with us across Facebook, Twitter and Instagram. For those who have never heard about the Bolton Lads & Girls Club, it is a youth club and is a registered charity based in Bolton. They focus on helping young people get on track, building their own foundations and brightening their futures. Bolton Lads & Girls Club welcomes many different opportunities for young people to be able to improve their career journeys. Today’s blog is all about A day with Bolton Lads & Girls Club. We wanted to get involved with the Bolton Lads & Girls Club as we always want to give back to the community and do whatever we can to help. 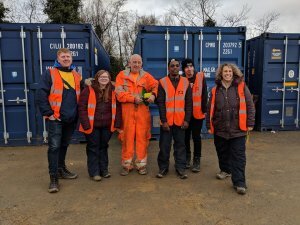 We had visited them previously towards the end of 2018 to see how we could get involved with supporting them. It was suggested that we could support their “Get A Job” initiative. The initiative sees a group of local young people go to local businesses. Here they will see what employment opportunities are available and how you get into those opportunities. 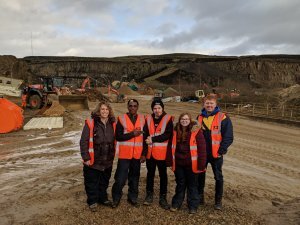 On Wednesday 13th February we had the privilege to welcome the first cohort from BLGC to our Montcliffe Quarry. Up at Montcliffe quarry, we met with the BLGC cohort at 10.30am. After a quick health and safety demonstration we set off into the quarry. At first, the young cohort was shy but as soon as we got into the quarry they started to get involved. They saw first hand the full aggregate production process. We had just had a blast that yielded 4 thousand tonnes of stone that very morning. They witnessed an excavator loading up the dumper truck. This then transported the stone to the other side of the quarry. At the other side of the quarry we stood for nearly an hour taking in the surroundings. We watched on as the dumper truck deposited the stone. Two Hitachi excavators then worked to pick the stone into smaller pieces. One had a picker attachment to act as a drill to separate the stone into smaller sizes. Another used a large metal ball, dropping it from great height onto the stone below, to break into smaller pieces. The excavators would then load them into the crusher. Once the crusher had crushed the stone into aggregate it was then transported by a wheel loader to be screened. Our young cohort watched on as the screener separated the stone further into piles, sorting them by size. Finally another wheel loader would load our tipper wagons with the crushed aggregate as they arrived, ready to transport them to their next locations, such as our AMIX concrete plant. We stood in silence for a while watching the process before getting up close with a Hitachi Excavator. We took a look at the cab, as well as the size and a variety of attachments for the hydraulic arm. All of a sudden it was as if we had a different set of young people with us, they had come out of their shells. The young cohort had started asking questions, telling us about their interests and showing a genuine interest in our quarry. At this moment we asked them what their ideal job in the quarry would be. The resounding answer was to be an excavator operator. However this was just because of how fun it looked to drop the metal ball from such heights! On the way back we were treated to a drive by from Mayson and we shared the history of the fantastic machine along with a quick history of our other 70 wagons. For us, it was important to highlight the jobs that we have on offer. As well as the jobs that make our business operate as smooth as possible. Not only do we have workers in our quarries but also in our head office too. At our quarries we have jobs ranging from drivers to ground workers. At our head office you can find HR, Accounts, Transport, sales and marketing teams. Once we had made it back to the start of our tour we were treated to a hands on blast master class from our blast master, Alan. Alan has been the blast technician at Armstrongs for 4 years but has over 20 years experience in quarrying. On the day of the visit from BLGC, Alan had been on site preparing for our blast at 10am since 4am that morning. Alan took the time to answer any questions about blasting the cohort had before providing a hands on demonstration. 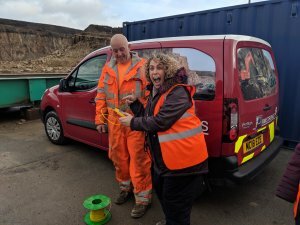 Armed with his wiring and a handy little device, he took the care and time to show how we approach a blast. Alan encouraged each one of our young people to take turns in pressing the spark button and create a mini blast through the wiring. After this encounter we took the time to ask the young people if they had changed their minds about the type of jobs they wanted. It would come as no surprise that they were all firmly fixed on wanting to become our next blast master! Charlotte, another member of BLGC, particularly enjoyed it saying “It was a fun and interesting session and I enjoyed firing the detonator and it was much louder than I was expecting it to be”. Being firmly active and involved in our communities is something that we are proud of. We are incredibly humbled to be able to support Bolton Lads & Girls Club in their “Get A Job” initiative. After the session we asked Andy Simms from BLGC to provide some information and feedback on the initiative. We’d like to thank BLGC for choosing us as one of their local businesses. They will be joining us again, with their second cohort, in early March. You will see more about that trip on our website in the coming weeks. For more information about the support we offer to our communities you can contact us here. You can also keep up to date with Armstrongs across Facebook, Twitter and Instagram. This week we are talking about Quarrying and the environment. 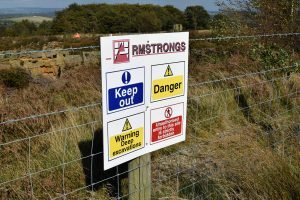 Armstrong Group are committed to providing a quality service in a manner that ensures a safe and healthy workplace for our employees. We aim to minimise our potential impact on the environment. We operate in compliance with all relevant environmental legislation and we will strive to use pollution prevention and environmental best practices in all we do. Safeguard and enhance natural habitats and species and preserve the nature and character of the local area. Support environmental initiatives that improve health and well being. Encourage the reduced consumption of natural resources and energy. Operate a purchasing policy that avoids the use of environmentally damaging products. Comply with environmental legislation and ensure that our contractors do likewise. Commit appropriate levels of staff and financial resources to deliver the aims of our environmental policy. Train and educate our employees about environmental issues that may affect their work. Reduce waste through re-use and recycling. By purchasing recycled, recyclable or re-furbished products and materials where these alternatives are available, economical and suitable. For more information on our work to sustain the environment, as well as our corporate responsibilities, click here. You can contact us directly here or call us on 01204 668021 for any more information or enquiries. Follow us across our social channels for more updates. You can find us on Facebook, Twitter and Instagram.